As a Doctor of Optometry and Certified Clinical Homeopath, as well as a mother, Dr. Elise Brisco, OD, FAAO, CCH, FCOVD, understands the need to provide effective options to medications and eye surgeries whenever possible. 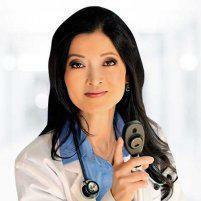 She offers holistic, homeopathic, and integrative treatment options across disciplines — such as acupuncture — at Hollywood Vision Center, Optometry, Inc., at Carthay Circle, Miracle Mile, Mid-Wilshire, Beverly Hills, Los Angeles, California. To discover a broader array of treatment options for natural eye care, call or book an appointment online. Traditions help prevent disease and maintain health. Western advances focus on aggressively fighting diseases. The trick is finding a delicate balance between the two cultures. Integrative medicine utilizes the latest high tech, sophisticated tools to diagnose your unique condition. Then we use this information to customize your treatment incorporating eastern and western medicine. Homeopathy stimulates the body’s own healing responses while respecting the laws of nature and the wisdom of the body. It uses minute doses of specific remedies, to trigger a healing response aimed at the root of the problem rather than eliminating symptoms. Practiced by doctors all over the world, homeopathy is widely used in Europe, India, and Asia. GOAL: Give patients a prescription for wellness that keeps them healthy between visits to the Doctor. HVCO distinguishes itself by giving patients the tools to help themselves. Homeopathic medicines such as Allergy Desensitization works fast, does not sting, and has no adverse reactions. Unlike traditional allergy medicines that suppress the body’s immune response, these help the body to not have an overreaction to allergens. Homeopathic eye drops stimulate tear production and assist the body’s natural ability to relieve redness, stinging, and burning. Homeopathic medicine stimulates the body’s ability to heal itself in a natural, non-invasive manner. Homeopathy is a holistic approach to healing one that involves the body, mind, emotions, and spirit of person being treated. Gentle enough for children, yet strong enough for adults. Non-surgical myopia reduction with Ortho K contact lenses. To discover the benefits of natural eye care, call or book a consultation online today.